Wow. Good ending. I could have used this feeling two episodes ago-when a certain cliffhanger made me feel like I saw someone step on a puppy. 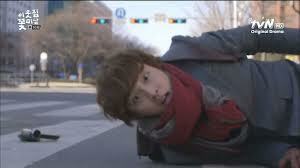 Flower Boy Next Door ended its run today. As with the show’s sister dramas in the Oh! Boy series the finale was far from disappointing. An element of fan service hung over the finale however the fog was blown over by a satisfying ending that supported the themes planted early on in our story. Anxiety, love, understanding, togetherness, and who actually owns the best apartment complex in the world was played up to great effect (comedic and dramatic). Here comes the full out ramble times two, I have decided to combine the series review with the life lessons. After watching the last episode this combination makes far more sense to me than posting two different entries to cover the same awesome drama. And please let me know what you thought of the finale- was it good, okay, or bad? Did it measure up to the Oh! Boy predecessors in your drama book? I like this show for a lot of reasons. I admire it for one reason-its portrayal of social anxiety. 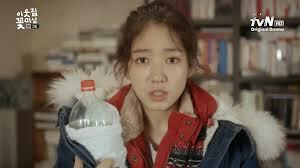 Flower Boy Next Door (and Park Shin Hye) gave viewers a wounded heroine that learned to fight. While the concept of a flawed woman is a dime a dozen in k-drama land, this stories focus on a comedic and dramatic portrayal of psychological pain was unique and well done. And that is hard to do- how many dramas fall flat when they try to switch between the serious and the slapstick? Quite a few, at least in my viewing experience. And to deal with the pain that kept our Rapunzel trapped in her tower with both laughs and tears without losing faith was awesome. I love you show. It was the social interactions that bought out the best in this story, which is funny because it is a story that is driven forward with actions fraught from being alone (emotionally and/or physically). Yet each character was amplified by another and the interactions that were played across our screen were all about the bonds that are formed between the emotionally pained, the painfully happy, and the happily selfish men and women that made up this microcosm of a universe. Call it FBND world, hell call it awesome. I call it the best apartment building ever. 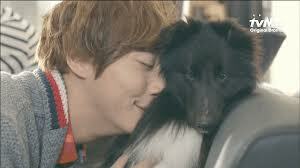 From our Ahjumma to our security officer everyone was defined by how they related to each other or how they did not. Enrique was a well loved genius who had a wealth of emotional intelligence but a lack of emotional common sense; Dok Mi was a no name hermit. Our Security Guard was the man who did the same thing everyday for years, with actions that unconsciously gave a routine feeling to this world. Jin Rak was a man who sought the noble and pure in life, while Do Hwi was a woman trapped eternally in her own social prison. The only one that was transient (and transparent) was Watanabe, who oddly enough gave all of those stuck in their small world a place to congregate. Funny how life works. So, was everything about this drama great? No. I am about to rain on my own parade but there were things that this drama did not do so well. Like the later episodes (finale not included). The show’s plot seemed to derail itself a bit with useless emotional turmoil that one could only guess was contrived by a writer picking a trope out of a hat. The pace of the show, which did not skip a beat, kept an interesting flow despite the slightly bumpy story trajectory. I felt like the writers knew what they wanted, knew how to get there, but got drunk around episode 13 and did not sober up until episode 16. Too bad they were playing write a k-drama episode at the time. One piece of the story I am on the fence about is the inclusion of the characters Seo Young and Tae Joon. While I realize that they are the reason Enrique came back to Korea, the reason that Enrique met Ahjumma, they also seemed slightly unnecessary in the grand scheme of things. I get the other love idea and the perfect guy idea. I get it. I also appreciate the fact that once these characters played their role they were done- not coming back to wreak havoc in a melodramatic fashion. Yet I think back- could the story have just cut them out and still made a point? 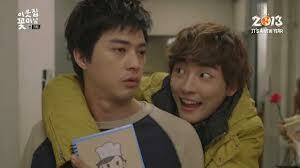 What if Enrique had the apartment, not his hyung? What if Enrique’s first love was nameless and back in Spain? Would any of that change anything? Probably, maybe. I don’t know, but it still makes me wonder. My overall verdict is that this show was a worthy entry in a stellar series. 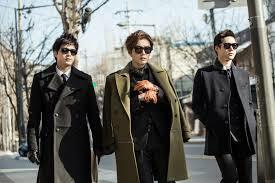 Was it Shut Up Flower Boy Band good? Well, no. But it was not the same type of drama- and honestly SUFBB is that once in a year show that exceeds all expectations (at least for me). 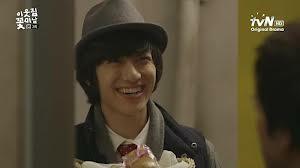 Compared with the other rom-com in the series, Flower Boy Ramyun Shop, I chose FBND as a winner. While there was a bit of a slump towards end the story held up thanks to the ending. The characters held up, their ending actions were enough for me to forgive their momentary lapse of judgment. And I held up- my hand to get one of those panda hats. They are too cute! Now to the snarkier side of things…. Webtoon artists have the best memory of all human kind. They can draw perfectly synchronized animations on post it notes over a period of years based only on what they remember they drew the day before. Wow. Life Lesson: Webtoon artists should spend the majority of their time hustling others for money playing memory games. Because they remember everything. Everything. 2. Voyeurism? Go for it! Unless your neighbors walk around naked. That may just be awkward…depending on who your neighbors are. 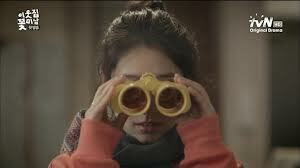 Life lesson: Buy a pair of binoculars and go for it- look in your neighbor’s windows. 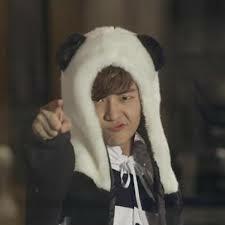 Hey, one day you may find the love of your life staring back at you- wearing an adorable panda hat! 3. Stalker fans, talk to them already! I have read articles on creepy stalker fan behavior- like letters written in blood and break-ins. Well, I have a solution for you perpetually stalked idols. Life lesson: Go to their fan meetings; invite them to a soccer game. Buy them lunch. Then when they write “die” on your girlfriends door you can just approach them like an old friend- a really pissed off friend they are obsessed with in an unhealthy way. Boiling water. Falls from table. Dog under table. Dog not harmed? Life lesson: Dogs can be trained as ninjas. I have started a ninja program with my two pups, however they both look at me and then go back to sleep. I guess I better make sure I never leave boiling water on a table. 5. Go green or …go home? What if you are already home? The most eco friendly people are those that stay inside all day and have super low energy bills. Life lesson: Are you listening Al Gore? Time to make friends with some hermits; they know what you are talking about. I enjoyed it! I agree that FBND did a good job taking social anxiety seriously. And I love what you said about Watanabe pulling everyone together. He didn’t get a lot of airtime (I wonder if it went to the editor-lady?) but he did set a good table. I’m not sure I can really compare it to the other two Oh!Boy series, though. Because each of the other dramas were so completely different (something I actually admire about the series) so it’s a bit like eggs and apples. Thanks! I love what you said in your blog review, especially in regards to the characters remaining in the building. One thing I appreciated about FBND is the microcosm of a universe portrayed in realistic terms, our apartment complex existed as an odd world apart from our own (kind of like the ramyun shop of FBRS)- which made it that much more awesome. Sometimes I need a reminder that the mundane can be extraordinary. LOL, spot-on observation. Nice blog!